Toddlers are delicate and special beings that need protection round the clock. For parents, ailments are the least welcome as they signal towards a glitch that causes their baby utter discomfort. However much we try, infections always find their way into their bodies especially the skin, which is in direct contact with the elements including other children. Ringworm in toddlers is a contagious fungal infection only so called because it appears as a round or ring shape rash. 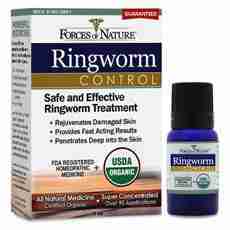 It affects the scalp and body but while it is not fatal, ringworm is certainly unsightly. A toddler with ringworm has a rash of one or more rings on the stomach, thighs, chest or back. The rings are usually crusty on the outside and soft in the middle, growing in girth as the fungus develops. Discomfort is often caused by itching on affected skin, which is uncommon. On a baby’s scalp, ringworm looks like a bald patch or dandruff being either crusty or moist and full of puss. Due to this manifestation, ringworm in toddlers is often mistaken for cradle cap or dandruff. Tread carefully when seeking treatment for ringworm in toddlers as they have incredibly sensitive skin which demand mild products. Over the counter anti fungal creams should have only 2 or 1% of the active ingredients. Get professional recommendations on anti fungal creams and gently massage a little on the affected part twice a day for best results. Continue treatment even after the rash clears to prevent recurrence. Ringworm under treatment should fade away in one month and if it exceeds this timeline, you must see your pediatrician for tablets and medicated shampoo. Wash your hands thoroughly after touching affected skin to prevent spread of the fungus. Keep your toddlers items separate from others and dress the baby in loose fitting clothes that cover their legs and arms. Keep their nails short and clean to prevent fungus spread from their scratching. With such simple hygiene measures, you will conquer ringworms in toddlers before they can cause serious damage. Left untreated, ringworm predispose toddlers to other infections that often require strong medications to heal. Extend proper hygiene to other family members by ensuring that they only handle the toddler with clean hands. If the ringworm affects the baby’s scalp ensure that the whole family uses anti fungal shampoo on their head to prevent further spread. Ringworm is only contagious if your toddler is left untreated and are therefore not a reason for them to stay out of normal activities.